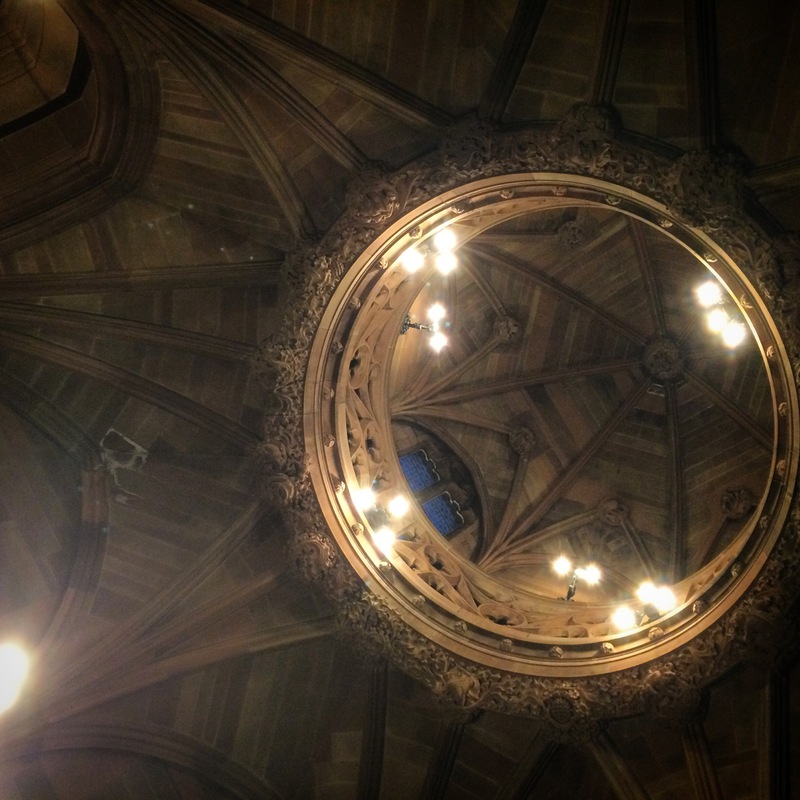 My recent trip to Manchester wasn’t purely dedicated to Christmas markets – we also went to the museum (where we met a dinosaur called Stan with the voice of Mark Radcliffe), and this sweet gothic library. 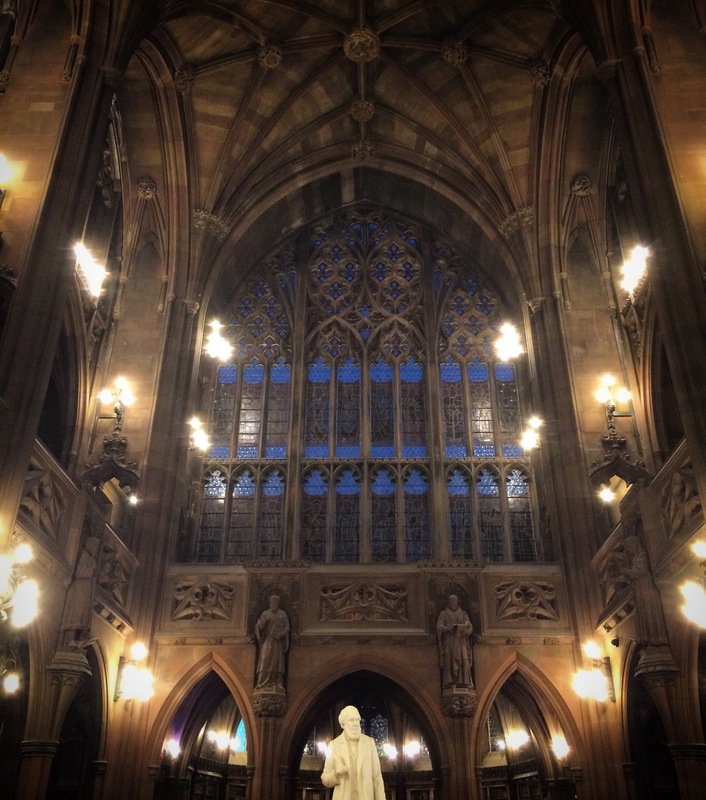 According to the University of Manchester’s website (and they should know) ‘The John Rylands Library was founded by Enriqueta Rylands in memory of her husband John Rylands.’ John is the statue in this photo. Enriqueta is at the other end of the gallery, facing her husband – but I didn’t get a decent photo of her. Too many iPads in the way. It’s a beautiful building on Deansgate (currently near several Christmas markets, woop) and when you visit (because why would you not) I would advise you to look up to make sure you get the full scale of the place. It’s pure lovely. Apparently ‘the Deansgate building houses over 250,000 printed volumes, and well over a million manuscripts and archival items.’ One of the things we saw was a fragment of papyrus thought to be the earliest record of the New Testament, which was amazing from a being interested in history point of view (if not from an atheist one). The library is also hosting a nice exhibition just now called ‘Darkness and Light: Exploring the Gothic‘ which has lots of stuff about gothic novels. I very nearly bought a copy of The Mysteries of Udolpho as a result of it, til I remembered the whole ‘we’ve got too many books to fit in our house‘ thing – Udolpho is a mighty tome. 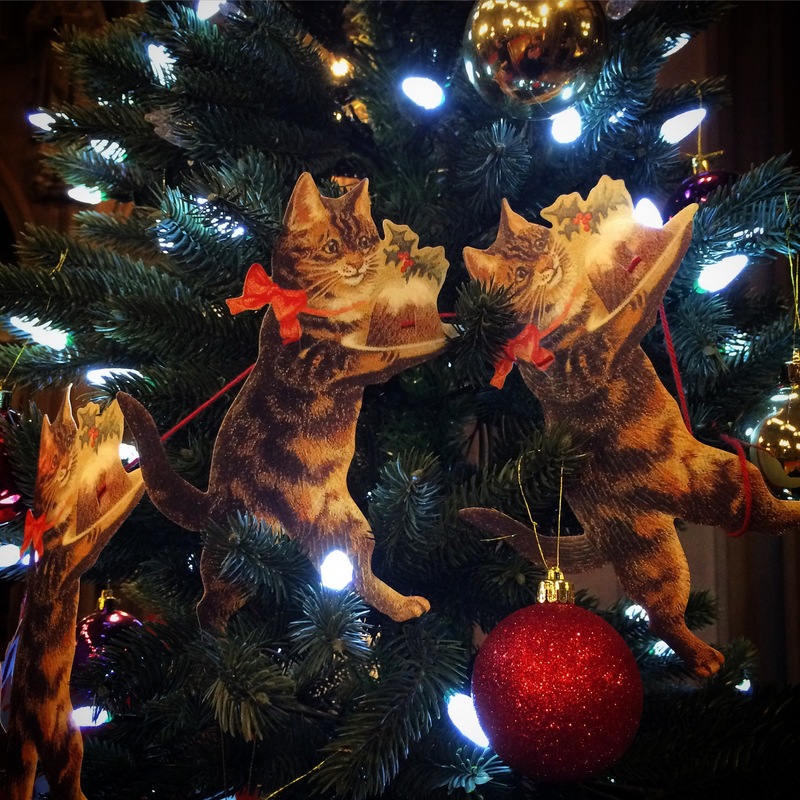 And as if all that wasn’t enough, you can also see and buy these decorations of kittens carrying Christmas puddings. What could possibly be more seasonal than that?